I have a teensy confession to make: Ever since NYC and acquiring my beloved sunglasses, I can't stop thinking about Chanel. I've been obsessing over the beautiful clothes, eyewear, and jewelry on their official website. I looked up Chanel on Wikipedia and read about Coco's life and the history of the company. 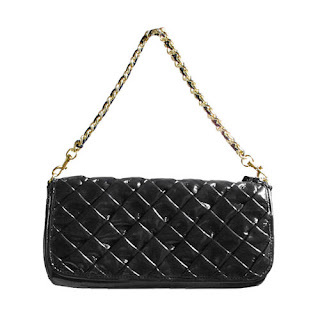 At upwards of $1300 for a new one, an authentic Chanel purse is something that few fashionistas can aspire to or afford. Personally I don't know if I could ever bring myself to spend that much on a purse when it could probably buy a plane ticket to my next faraway getaway! 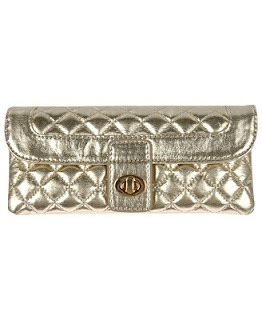 There's no substitute for bona fide Chanel, but if you want a purse that has some of the same timeless stylistic elements, the versions below come pretty close for a more reasonable price. Note: I'm aware that some of the options I chose are still pretty pricey. 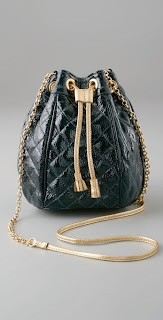 Nonetheless, the most expensive options below are still only a fraction of the price of a typical Chanel handbag. The picture in the banner is actually a picture of Carrie's closet from SATC which I've photoshopped and lightened. I'd love to have one like it someday! Great post! 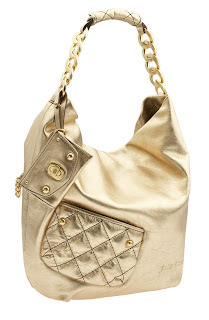 I love the Steve Madden bag - it's so affordable and chic! 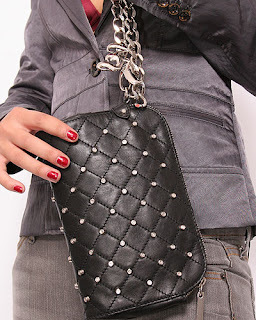 The JC bag is hot too and it's great how it incorporates elements of Chanel bags, yet is different enough to stand on its own.